Kate Riley is a sports anchor and journalist, well known for anchoring World Sport for CNN International. Being active in this field since 2007, she contributes for the channel such as BBC Radio, Fox Sports, IMG Media, and Sky Sports News. Kate Riley was born to an American mother and English father in Bakersfield, California. In her early age, she lived in different places like United Kingdom, Cameroon, Hong Kong and Brunei. Riley did her schooling from Ipswich High School for Girls in England. Then, she went to study Broadcast Journalism at Cardiff University and completed her master's degree from there in 2006. Riley also attended the Leicester University in England. 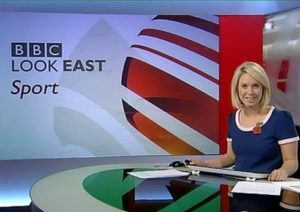 After completing her graduation, Riley started her journalism profession at BBC Look East in Norwich, UK, where she graced the station's youngest sports anchor. 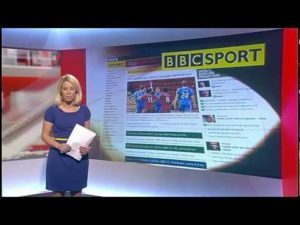 She worked for BBC Breakfast in a kind of roles and BBC Look East, concentrating on local sport. Riley had a short assignment at a sports report for BBC Radio Norfolk in 2008 and later for BBC Radio 1 in 2011. She briefly worked for Essex FM in 2007 as the sports editor, while joining the Premier League Productions and Fox Sports (USA) teams in 2012. Riley joined NBC Sports in August 2012, implementing breaking news on the Premier League to the 'American news channel' from England. She also highlighted as Match Day Live TV anchor and continues to freelance for NBC Sports. Then, Riley worked as a television Journalist/ Reporter at IMG Media on August 2012 in the United Kingdom, serving Premier League TV reporter, reporting on the Premier League for 2012/ 13, providing bespoke content to a global audience and reaching 600million viewers worldwide. Riley joined Sky Sports News in December 2012. She serves there as a TV sports presenter/ reporter, presenting Sky Sports News, Sky News sports bulletins, Sky Sports News bulletins for BFBS. She is also reporting for the most watched sports channel in the UK and reporting on the Barclays Premier League and SkyBet Championship. Kate Riley is also sporting anchor and correspondent for CNN since June 2015. She currently anchors 'World Sport' during the week and on weekends. Riley has covered a broad variety of stories for CNN including the FIFA Women's World Cup, where she recorded live from Canada from the quarterfinals stage to the championship game across CNN's platforms. She has also interviewed many well-known athletes like Tottenham soccer star Harry Kane and two-time World Cup champion Julie Foudy. For more than a decade, Riley has covered the biggest sports stories from assignments in Europe, the Middle East and now the U.S. She has interviewed English Premier League managers and players, Olympic athletes, Formula One team owners, cyclists and professional tennis players. Riley is a very good looking and ambitious person. As well as she is very secretive about her personal life. Riley has not revealed anything about her boyfriend, affairs, husband, and relationship. The beautiful lady is rumored to be involved with her boyfriend and may be married. However, Riley personally never has revealed those things as she never likes talking about her personal life. But, her social media says different things, Riley's closeness to a man whose name is not disclosed surely says about their relationship. Riley frequently uploads a picture with a man who is supposedly her boyfriend or husband. She has uploaded a lot of pictures of their holidays and party together. The couple's togetherness surely defines their relationship. Kate earns a considerable amount of money by her diligent performance and career. Though her exact amount of salary is unknown, we believe she receives a handsome amount of salary. With her salary and houses and dresses, she has added a lot of money in her net worth. Her current estimated Net Worth is $ 2 Million. She holds an American nationality and belongs to white ethnicity. Kate has a huge fan following on social networking sites.